GENEVA, Ill. - Greg Moore has been named Head Coach of the Chicago Steel, the team announced Wednesday. Moore joins the Steel from USA Hockey's National Team Development Program (NTDP), where he spent three seasons as an assistant coach, including this past season with Team USA (U17). 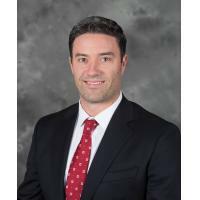 "We conducted a comprehensive search throughout professional, collegiate and junior hockey in an effort to identify our next Head Coach," said Steel General Manager Ryan Hardy. "Greg emerged from a talented and diverse candidate pool because of his leadership, passion for excellence, and innovative hockey mind. We're excited to welcome him to the Steel family and we look forward to watching him lead our team in 2018-2019 and beyond." Moore's experience with the NTDP spans two decades as a player and coach. As a player, he won championships at U17, U18 and U20 levels, placing first at the 2001 World Under-17 Hockey Challenge and winning gold with the U.S. National Under-18 Team in 2002. He also skated for the United States' first gold medal-winning team in IIHF World Junior Championship history in 2004. After continued success at the collegiate and professional level as a player, he returned to NTDP as a coach, helping lead Team USA to its best USHL season in program history in 2017-2018 and the USA team that won the gold medal at the 2017 IIHF U18 Men's World Championship in Slovakia. "Greg's skill, competitiveness and leadership as a player exemplifies our championship culture, while his knowledge, creativity and character as a coach further strengthens our commitment to player development as we prepare young men for collegiate and professional success on and off the ice," said Larry Robbins, Steel Owner. The Lisbon, Maine, native played for the University of Maine, competing in two NCAA Frozen Fours including the National Championship Game in 2004. Moore was selected as team captain of the Black Bears during his senior season, was a top-10 finalist for the Hobey Baker Memorial Award and earned Hockey East First Team and All-America First Team honors. From there, Moore played forward for nine years of professional hockey between the National Hockey League (New York Rangers/Columbus Blue Jackets), American Hockey League (Hartford Wolf Pack/Bridgeport Sound Tigers/Syracuse Crunch/Adirondack Phantoms/Springfield Falcons) and Deutsche Eishockey Liga (Augsburger Panther/Grizzly Adams Wolfsburg). "I'm grateful and excited to serve as the Head Coach of the Chicago Steel," said Moore. "The organization, Ryan Hardy and I share a progressive vision for how to develop hockey players at the junior hockey level. I am very much looking forward to watching that vision unfold, supported by a phenomenal resource in Belfry Hockey. I am confident that our current and future players will be enthusiastic about the style of hockey we will implement. Our goal is to energize everyone around us, especially the players, with the ideas and concepts we will be laying out for them. I can't wait to get started." Coach Moore will lead the Steel's annual Tryout Camp June 8-11 at Fox Valley Ice Arena, which will be open to the public to view with a featured all-star game on Monday, June 11 at 11:00 a.m.
Chicago Steel 2018-2019 season ticket plans are now on sale and the 2018-2019 schedule is expected to be released by July. For Steel tickets or more information, call 855-51-STEEL, stop by the Box Office at Fox Valley Ice Arena or visit ChicagoSteelHockeyTeam.com.